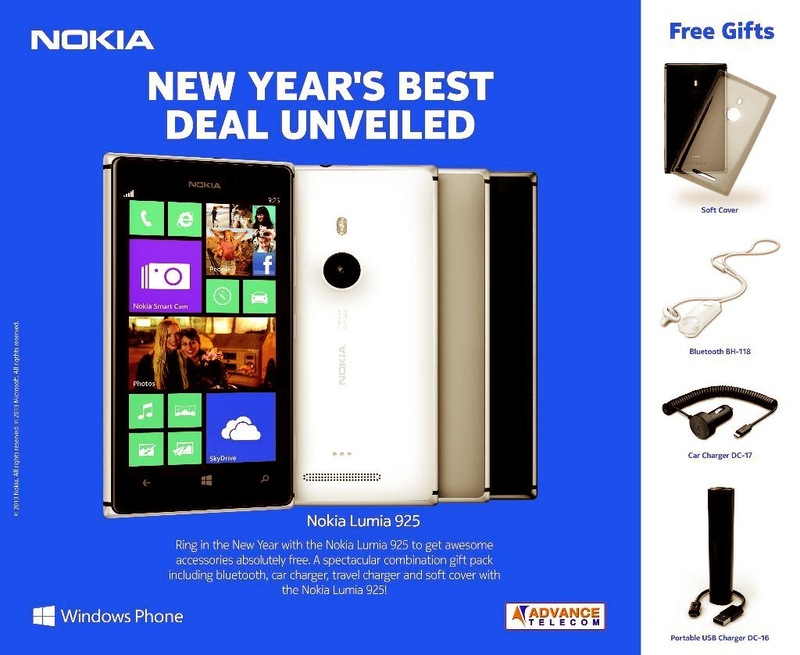 Nokia Pakistan in collaboration with Advance Telecom offers free gifts with purchase of Nokia Lumia 925 Handsets in Pakistan. Ring in the new year with the Nokia Lumia 925 to get awesome accessories absolutely free. A spectacular combination gift pack including bluetooth, car charger, travel charger and soft cover with Nokia Lumia 925! Nokia Lumia 925 is a Windows Phone with 8.7 Megapixel PureView camera with six Carl Zeiss lenses. Slim and lightweight aluminium body around a 4.5 inch HD+ display.